How do you use the VMDSpectrum? What is this VMD Spectrum feature on the LearnMMD Stage? How do you use the VMD Spectrum Analyzer? If you have taken a look at the LearnMMD stage, you would find a feature, the VMDSpectrum. The VMD Spectrum is an MMD accessory/model that acts as a frequency spectrum visualization; it lets you “see” your soundtrack. To use this feature the wave file will need to be put through the VMD Spectrum Analyzer to create the VMD motion data used by the model. 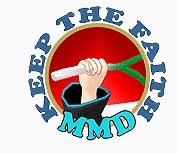 The VMD Spectrum Analyzer can be downloaded from the LearnMMD.com Downloads Page. The VMD Spectrum Analyzer will only accept .wav files that are 44.1kHz and 16bits mono/stereo. If your file does not meet these specification, you must change them through the use of an audio editing software such as Audacity; simply Open Audacity and “import” your music … then “Export” as a WAV. 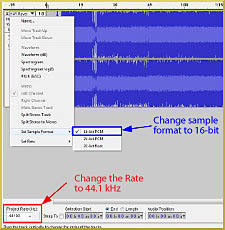 Once you have open/imported the .wav file in Audacity, change the frequency rate to 44.1kHz from the project rate at the bottom left of the screen in the selection toolbar and change the format bit size to 16bit under the “Set Sample Format” under the drop down menu on the left of the screen where the track details are. Export your new .wav file. Once you launch the VMD Spectrum analyzer, load your desired .wav file you would like to analyze for your project from the open wav file, ファイルを開く（O), under the file menu, ファイル（F). 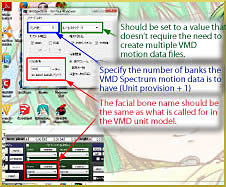 Specify the number of bands the VMD motion is to have for the given VMD unit (the specified band provision + 1) on the top left option of the program, バンド数. The LearnMMD stage VMD Spectrum has a provision of 10 bands, so you want to set this number to 11 (10+1). Verify that the base “facial bone name” matches what is given on the botton left option, 対応表情. The LearnMMD stage VMD Spectrum uses “band”. Once you have created the VMD Spectrum motion data, load the motion data to the VMD Spectrum unit as you would any other motion data to a model. Play the video and enjoy your creation. I convert the audio files to WAV-16bits-PCM-44 KHz Through all the methods that I know (VLC, online converters, Audacity), but still my VMD spectrum 2.0. just don’t load the file to convert it in a motion, I don’t know what to do, (I have a pc with windows 10 pro, Ryzen 5 proccesor, 8gb RAM and a NVIDIA 1050 GTX), maybe some body knows what can I do? perhaps it is a problem of software or something like that. In what exactly way does it “not load the file”? Does it throw an error message? How do you make it transparent? When I load the VMD model, It’s all opaque and black. To make the .pmx model transparent, you need to edit in in PMXE and add a Material Morph to it. Create one, add a component, hit “Edit” and write “0” into the “Opaque” (“Non-transp”) field. u get an Direct sound issue how do i fix ? How do you make a model/stage compatible with this feature? As in what do you need to do to the model so that it can use the motions from the VMDS data? The model needs to have facial morphs named “band1”, “band2”, etc. in Japanese fields (as many as you would want VMDSpectrum to produce). Each of those will react to one of VMDSpectrum’s output signals. What those morphs *do* in your model… is completely up to you. 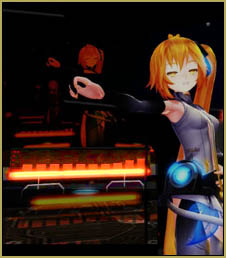 You can download LearnMMD Stage from our Downloads page and open its VMD_unit.pmx in PMXE to see how does it work. Thank you! bandages/vasilnatalie over on DeviantArt gave me a link for a tutorial on making morphs which should be helpful. I already have the stage downloaded so I’ll be checking out the unit for study as well. “Unhandled exception has occured in your application. If you click Continue, the application will ignore this errror and attempt to continue. If you click Quit, the application will close immideately. Could not load vile or assembly ‘Microsoft.DirectX.DirectSound, Version=1.0.2902.0. Culture=neutural. What’s wrong, and how do I fix it? I’m having the same problem! I need help as well. I do not understand how to load the VMD Spectrum motion data into MMD still. After you’ve loaded the model, go to File -> Load Motion Data, locate the vmd data you’ve just made and click Open. And that should be it. Simple, right?